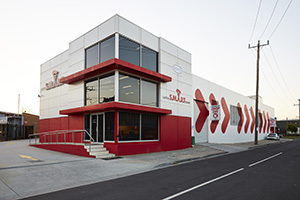 The East Bentleigh Centre is located on Carey St, on the corner of North Road and Carey Street, directly opposite Duncan McKinnon Reserve, and two doors down from the United Service Station. When dropping off your car please pull up to the roller door located on Carey Street, the roller door will automatically open, please drive into the bay and park your car. Walk through the door located on your left in to reception where Customer Care will greet you. When you return to pick up your car, the complementary taxi service will take you up the Carey St ramp to the top car park. Please walk in to reception where Customer Care will hand over your vehicle.